Wardrobe shopping happiness is the moment when you find tops that haven't worn for a year and still looks brand new on you. 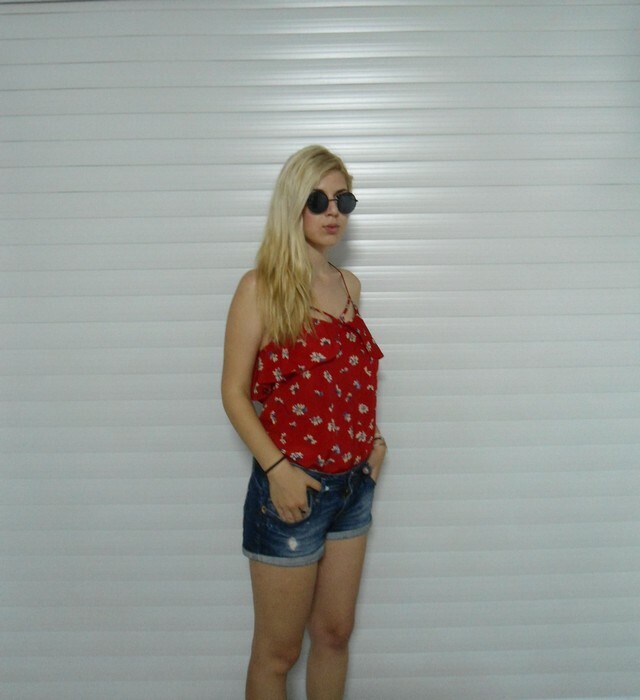 This look is kinda "american style" and is fabulous for those hot hot days here in Greece. I really like this red tank top! This is a really cool outfit! That tank is SO cute on you and those shorts are amazing. Especially loving that last picture. Wow!!! nice top! love the sunnies! You look so cute in this red top! Lovely outfit! Such a cute top! Really cute top, it looks great with denim shorts!